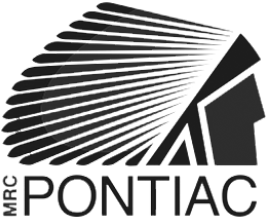 Through its mandate and capacity to unite, along with its expertise and leadership, the Pontiac Tourism Association will support its members by promoting their businesses, help them develop their business and strengthen their tourism offer in order to build a solid and prestigious image for the Pontiac. Weekdays from 8 a.m. to 4 p.m. Closed on major holidays. If you have a business with a listing on our website and would like changes made, please contact us at 819-648-5689 ext. 126 or information@tourisme-pontiac.com. We will do our best to update the site promptly. If you have a tourist business in the Pontiac and would like to be listed on the website, please contact us at 819-648-5689 ext. 126 or information@tourisme-pontiac.com.. We will review your request and hopefully have you listed promptly.